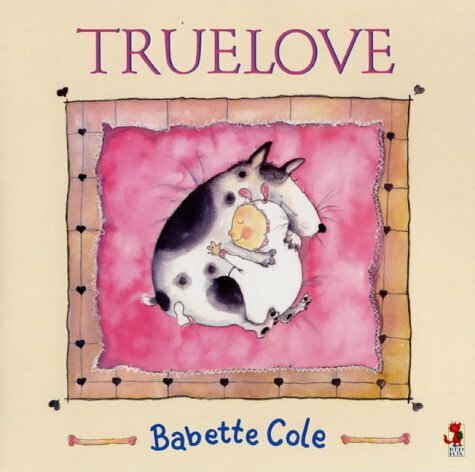 This tale is skilfully told from the point of view of the dog, Truelove. When a new baby is born he no longer feels wanted. What is the meaning of true love, he wonders? Is it sharing everything? Does it cure all hurt? Each effort to show the intensity of his love ends in disaster. As he yowls 'I Loo...ve yooou ...' human patience is exhausted, and Truelove is thrown out. Young readers and all pooch-lovers empathise deeply on the textfree page when Truelove heads for the city, possessions knotted in a red-spotted hanky. Living on the streets proves tough, especially when he mixes with the wrong set. 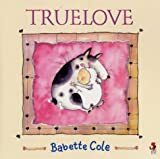 Cole packs the pages with visual jokes, and as he is eventually restored to his family, Truelove tells readers he knows what love really means. He is entrusted with nappy-changing duties... but not without a discreet clothes peg!